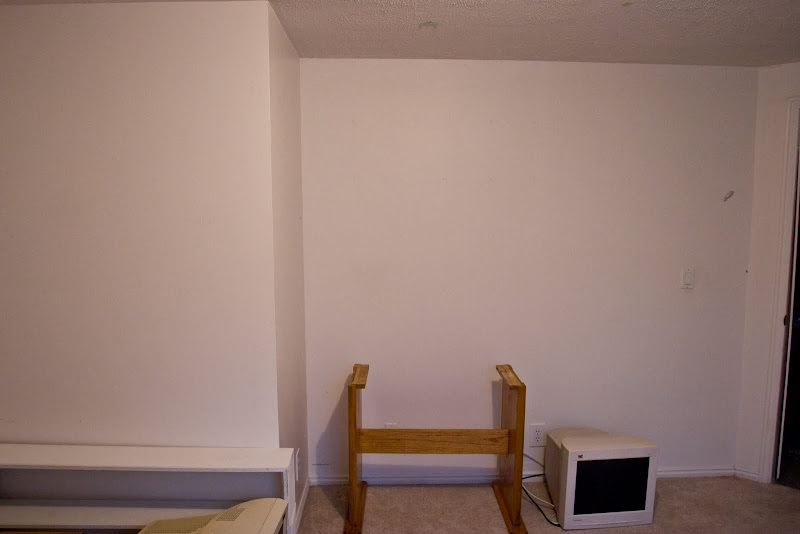 I've been workin' real hard on my craft room this week. Consequently, the whole house has gone to crap. I mean, it's a serious dump around here. I mean, cats and dogs living together. Mass hysteria. Hey, you can shut it. 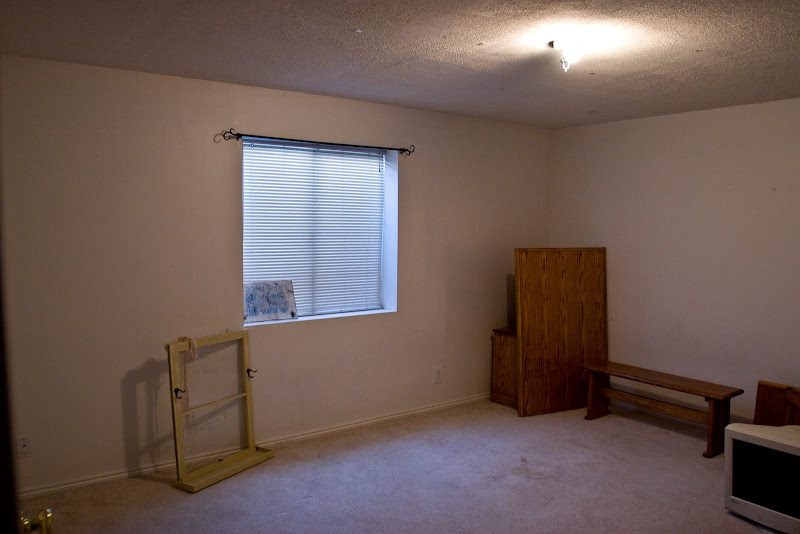 So let us revisit this forsaken boudoir, shall we? Ho, man. 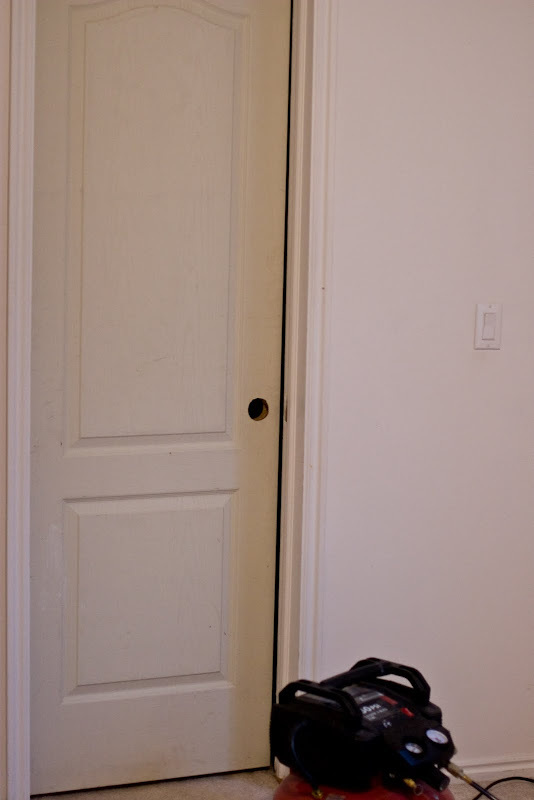 An unpainted, knob-less closet door. Goody. You know what I'm going to do with that before I even say, aren't you? And you're just shocked to the core that I did this to the actual door. Aren't you? 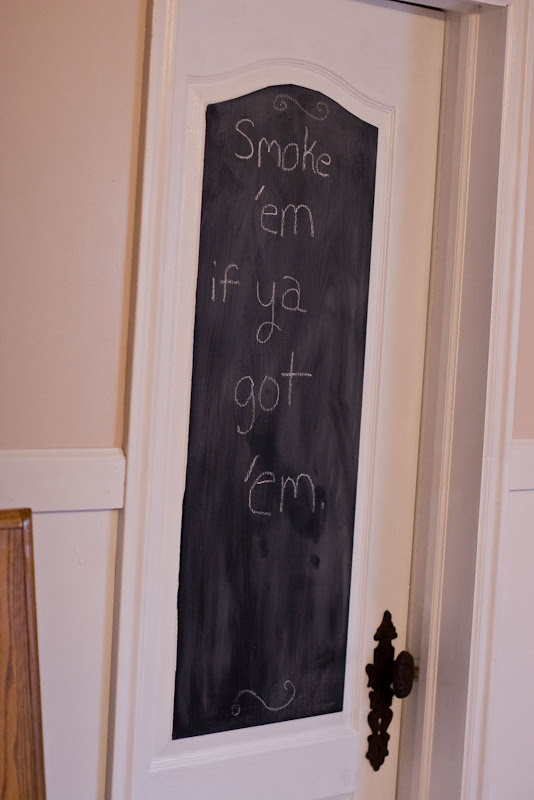 I do love my chalkboards. So I decided on a paint color. "(something) linen". Sorry, I'm too lazy to go check. It's been a tiring day. Anywho, I thought it was gonna look totally boss in here. And then Jamison was all "MOM! You picked the same color as the bedrooms upstairs!?!" I didn't mean to! I guess I am a broken record. Or I like what I like. Or something. And of course the aforementioned board and batten as well. So um, leave it to me to already put vinyl down, and not even have all my trim up. That's how I roll. I'm sorry, what did you say? Where am I at now? Oh, well thanks for asking. 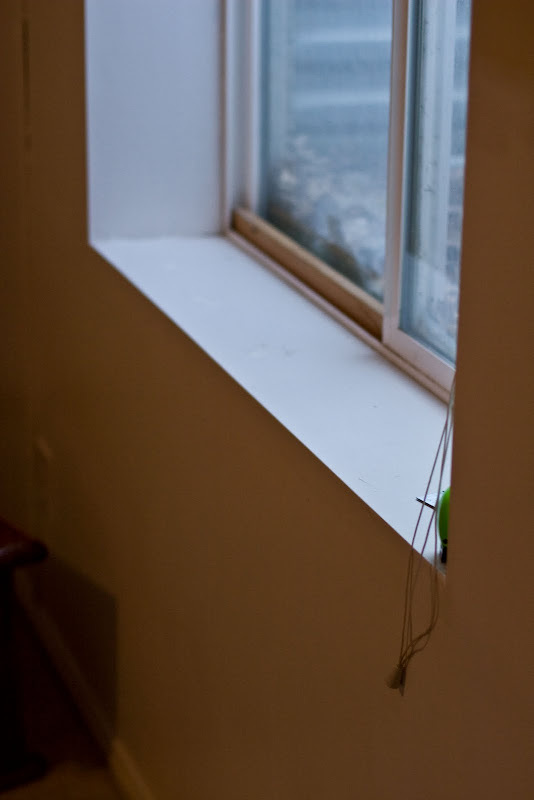 The window. The window is impeding my progress with my trim. I must make a decision. it's not trimmed in. At all. That is a tragedy and must be remedied. 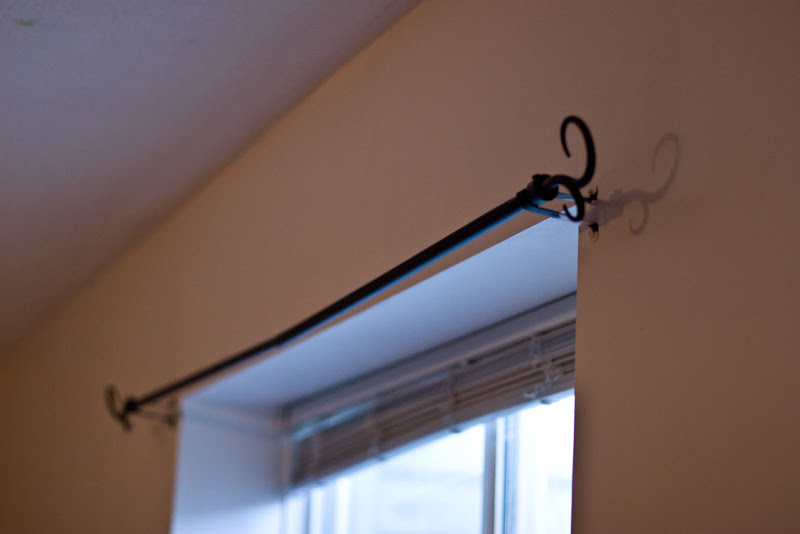 that there is something about curtain rods. They make you want to cuss and punch someone. All at the same time. I was only removing this for the trim to go up, too. Same reaction. And I'll have the same reaction when I put it back up when I'm all done too. So after serious contemplation, I decided. You know what this window needs? Faux shutters. 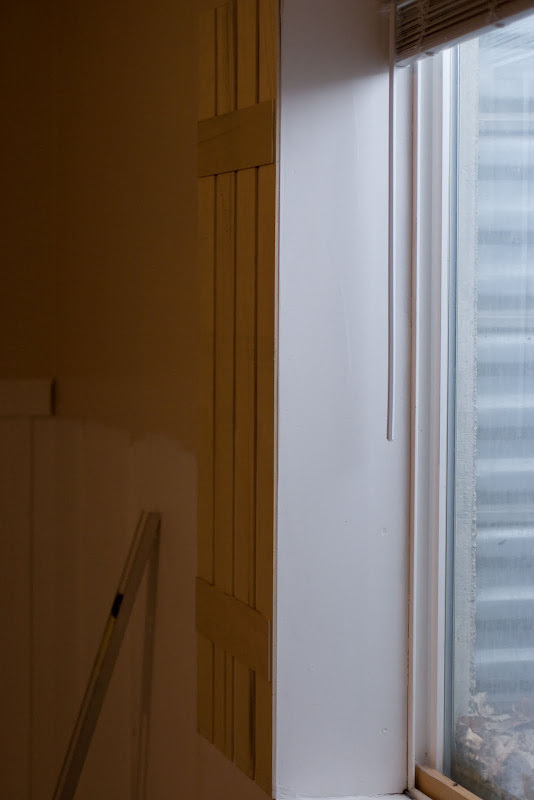 Yes, I said indoor, totally, completely fake shutters. That's what I'm doing. As soon as I get the homies all snug in their beds. Wish me luck, 'cause whew, this is a project. And I'm trying to decide if this room is swaying towards fabulous or craptastic. Um, it looks way better than mine. Mine's almost clean and organized, but I've run out of time to be creative. I guess that will be my next goal. Love the door and those shutters! definitely towards fabulous! Love love love that doorknob on the door and I saw the peek at some shutters that look great. Can't wait to see this all done! I'm doing mine this summer so I need the ideas! *I* want batten and trim, Daddy. *I* want batten and trim NOW!!! I love it already!I am going to steal (I mean "borrow") some of your ideas.=) Keep them comming! The stripes turned out good. Guess you found Dad's nifty gadget? Sorry I couldn't do the math in my head. ha ha. I'm a bit jelious of that room and the size of it. I want one! 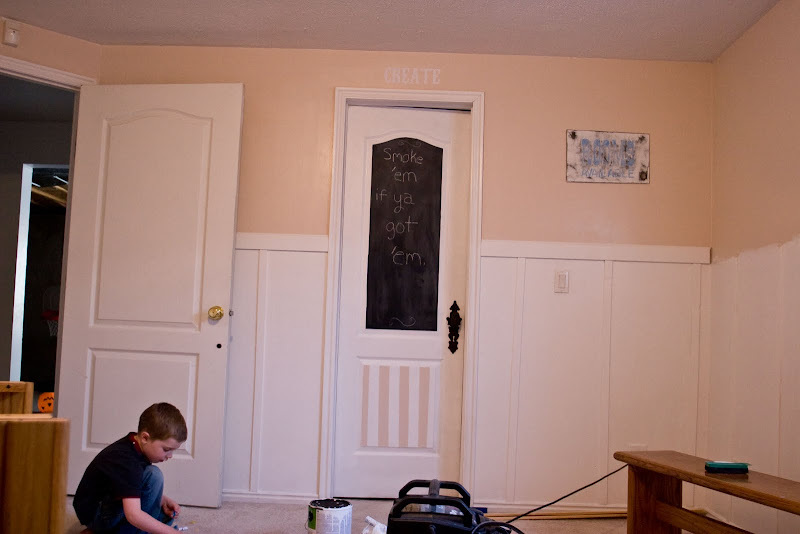 Love the chalkboard idea. Can't wait to see the finished product. Girl, how is it humanly possible to get done what you get done in a day. Oh to be that handy. No wonder your sweat pants still fit and mine DON'T! Looks awesome! It's definitely closer to fabulous than craptastic...although I really like the word craptastic. I think I'll use it today! PS - check out today's (Tuesday) post when you get a chance. Man you make me laugh! 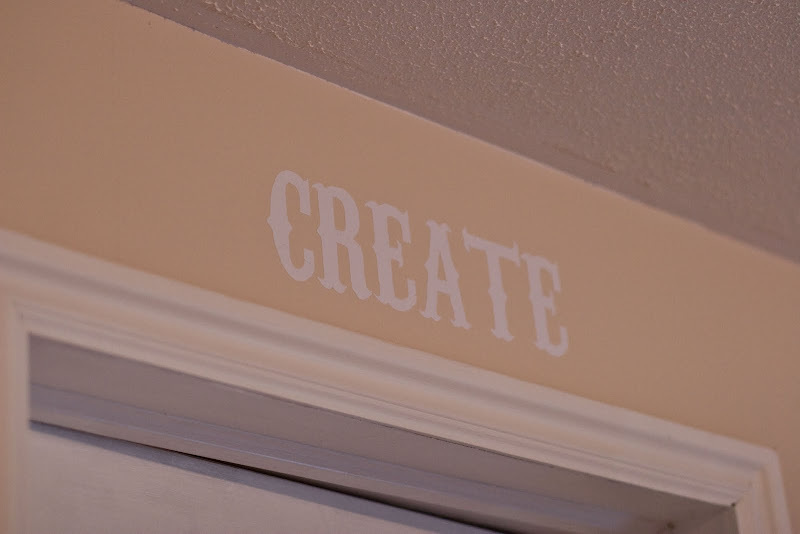 I love what you did to the closet door. I took mine down because I couldn't figure out what to do with it and when I painted it, it started to look really, really awful really, really fast.. So, it sits in the garage. Maybe it's time to haul it back in and copy your door. In any case, nicely done! I am voting for "Fabulousity" in this room. I am so. diggin'. those. stripes. Yep. Real love here. I am inspired by you daily! So now you know you have a stalkarzzi copy cat in Arizona! Ok...not completely but... I did see a broke down cupboard on the side walk...got out of my car and took off the two doors because they looked like something you would use to make a fabulousness with. What I am going to do with them? I don't know...waiting for more guidance and inspiration. Hey I love your word craptastic, but it is hardly heading that way girl! You are great! Happy Mother's Day to you on the late side. Hey better late then never. I bet I got a better gift than you, check out my blog, you will be so jealous, guaranteed! P.S. I'm thinking about doing it this week, maybe you will be the one! If I don't try it I will never know! 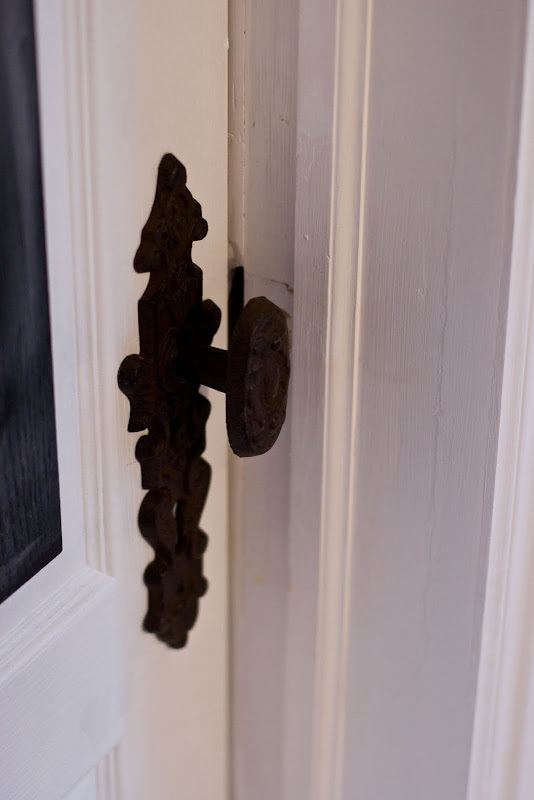 I LOVE the old doorknob! Okay. Cute junk. seriously. Now I must ask - WHERE do you find such awesome door handles?? We want some like that. Yeah baby. And we just decided how we're going to paint our craft room. :) It's gonna be fun.